I recently published a blog post on questions to ask your wedding photographer. If you haven’t had the chance to read that one yet, click here for the full article. 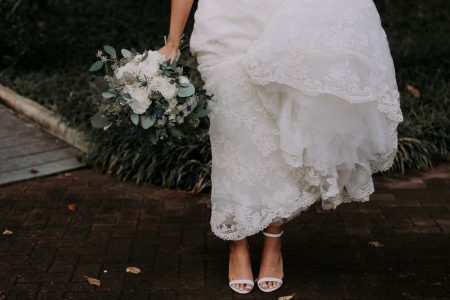 After I created that post, I decided I wanted to go a little bit more in depth [okay, a lot more in depth] about some of the technical aspects of choosing a wedding photographer, and give brides extra information on BIG questions they should ask anyone they are considering hiring to photograph their wedding. But ladies and gentleman. You’ve got to be smart consumers, and I’m here to help you. Knowing what questions to ask your wedding photographer can really make or break the experience you have with one. I’ve had brides reach out to me and say they hired Aunt Sally to photograph their wedding because they didn’t want to pay for a photographer, only to find out after the day was over that their pictures were totally botched and they regretted not hiring someone legit. As a professional photographer, that is devastating to hear. My goal with this post is to give you a foundation to go off of for some pretty big must have answers for questions to ask your wedding photographer. I am also including “red flags” to watch out for to hopefully help you avoid stress! Also, if you are a photographer reading this – – you can totally benefit from this post! Maybe you’re doing all of these things to serve your clients well, or maybe you are lacking an one or more of these areas. We are all constantly learning and growing, and we all start somewhere. 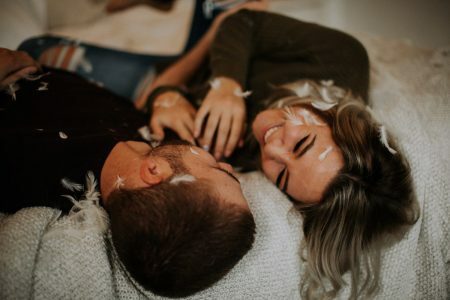 Hopefully this post on questions to ask your wedding photographer will inspire you to continue to serve your clients with excellence, or help you better organize your business if that’s the place you’re in! Availability- Okay. This may seem like a no brainer. When you first inquire with a photographer, triple check the accuracy of the date you’ve sent them! I can’t tell you how many times potential clients have accidentally sent me the wrong date. It can be the difference of them being available or not for you. Your time is valuable, you don’t want to chance investing in someone who is truly not available to photograph your event. How many other weddings will you photograph that weekend? This is especially important for traveling photographers. If your wedding is on Saturday in Virginia, but your photographer is working an event Friday on the other side of the country – that might be a concern. Many photographers frequently stack travel within states or neighboring states. Typically, we will only book events that logistically work with their travel schedule. This is to protect our clients and ourselves. No one wants to chance encountering a delayed flight that will prevent them from ending up where they need to be. It’s important to ask this question for peace of mind! Are you the photographer that will personally be photographing my wedding? Didn’t know this was an option, did you?! Some larger scale photography companies hire out Associate Photographers to work events. This allows a business to photograph more than one event on a given day. When hiring a smaller business, the photographer you are communicating with is most likely the photographer who will actually be capturing your day. Be sure to clarify so a stranger doesn’t show up on your date that you are contractually obligated to work with! Speaking of that, what happens if you get sick? Or if there is an emergency? Do you have a back-up plan in place? Life happens, right?! Emergencies to happen. Photographers are humans too. This is why it is so important to make sure you are covered in the event of an emergency with your photographer on the day of your wedding. For example, if the lead photographer becomes severely ill [I’d have to be in a coma to miss a wedding], can the second shooter step up and take lead? Does the photographer have Associate Photographers that could work the event in their place? It’s important to address this back-up plan ahead of time with a photographer to avoid any unplanned surprises. Professionalism- Is the person you are considering hiring an Uncle Bob who just happens to have a camera? Or, maybe a close friend who is interested in getting into photography but doesn’t actually own a business? The quality of the imagery you receive from your wedding day will be greatly influenced by the person you hire for the job. Can we see a full gallery of one of your weddings? YES! PLEASE! I love Instagram for what it’s worth, but a beautifully curated Instagram feed is not the same as seeing a full wedding gallery. Photographers take hundreds [and sometimes thousands] of photos in a full wedding day. In order to really grasp the full quality of their work, you should truly see a full wedding gallery. Most photographers are happy to share these images with you – because they want to make sure you are in love with their style! No one wants an unhappy client, and this is definitely a sure way to be positive you’ll love the final product they produce for you. Do you carry Business Insurance? What if a wedding guest trips over your photographer’s camera bag, shattering the equipment inside? Spoiler alert: many professional photographers can easily be carting up to $20,000 in equipment to your wedding! It’s important to make sure the professional is insured so that in the event something happens to their gear, you don’t end up responsible to cover replacement costs! Will we be required to sign a contract to work with you? For the love of all things photography – you better hope this answer is a yes! Contracts are legal documents designed to protect both the client and the photographer. They list out exactly what the photographer will be delivering to you, in exchange for financial compensation. Request to see a sample contract – and have the photographer explain any clauses you’re unsure about! Packaging & Pricing: Most weddings are working within a budget. Photography can easily comprise a large portion of the budget, aside from things like catering and the venue. This is because photography equipment is expensive. Hiring a professional, is expensive. You want to be sure that the photographer you are considering hiring is transparent with you in what will be included for the price of their services. What is included in your standard package? Do you have a package brochure? Many photographers offer standard packaging for things like elopements, small weddings, and large weddings. You want to make sure the services they offer will fit your needs. I see your packages, what if I need something custom created? Some photographers are more flexible than others in terms of creating custom packaging. Many photographers have designed packages to serve an umbrella of weddings, and this typically works well. In the event that you think it might not work for you- just ask! Sometimes it’s simply a matter of purchasing a la carte items to add onto your package. 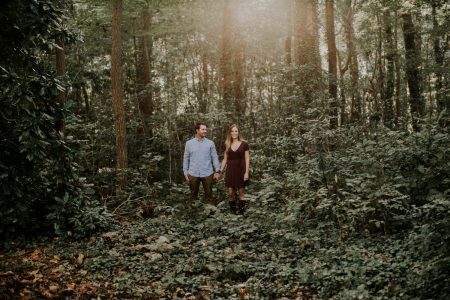 Are engagement photos included in my wedding photography package? Some photographers offer engagement photography in their wedding packages, others don’t! This is usually a personal preference on behalf of the photographer – there is no right or wrong way. 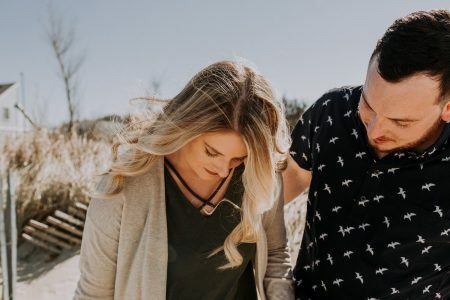 If you want engagement photos taken, you’ll want to be sure they are included. On the opposite end, if you’re thinking of skipping them, some photographers are willing to remove them off the cost of your package. Do you charge travel fees? Over a certain travel distance, traveling photographers may require flights or lodging. Some photographers build this into your price quote, others will add it on top of the package price. A second part to this question: will you be responsible for booking travel arrangements as the client, or does the photographer handle that themselves? Personally, I book my own flights and hotels because I like to chose my own flight times as well as the locations of my hotels. Again, it’s all personal preference; therefore, it’s important to ask! Prints, Albums, and Image Delivery: We live in a digital world! Many photographers offer digital imagery as their final product, whether that’s in an online gallery or via a USB. If that fits what you’re looking for, then great! Some clients are interested in also being able to purchase prints and albums, which is something you’ll want to find out if your photographer offers. Can we order prints and / or albums directly from you? Not all photographers sell prints. Personally, I love prints and albums and I do offer my clients the option to purchase directly from me. How do you typically deliver your imagery? Photographers may use file transfer sites like We Transfer or online download galleries such as Pixiset. Others may send you a USB in the mail. It’s nice to know how you’ll be receiving your images! Personally, I provide my clients with an online download gallery as well as a USB with several prints from their wedding day as a gift! Check out my post on how I deliver my client imagery, here! Do you deliver any unedited files? This could be a blog post in itself. Typically the answer here is, no. Unedited imagery does not represent the photographer’s brand, and is typically not delivered under any circumstances. Also, they are huge “RAW” files and are generally unusable until they have been edited and converted to JPG formatting. How long after the wedding will we receive our images? This is a big question for most clients! You are so excited to see your pictures, so how long does it take?! Editing takes time! On average, up to 8 weeks is pretty standard. You just want to be sure it’s not going to take a year to get your pictures back. Also, ask your photographer if they send sneak peeks! I always send a few images to my clients within several days of their event. I know they are excited to see them, and I’m excited to share them with my clients! This sums up Part II of my series Brides: Questions to Ask Your Wedding Photographer. I would love to hear your feedback! Are you a current bride, planning your wedding? Was this information helpful? Maybe are you a past bride, wishing you’d have known this information prior to hiring a photographer? Or lastly, are you a new photographer interested in learning more about how to better serve your clients and protect your business? Send me your thoughts + questions on this topic! I’m happy to chat!